When travelling to Tasmania to walk the Overland Track we recommend you purchase travel insurance for your journey as Tasmanian weather is very unpredictable, especially in winter months the highland areas are subject to extreme weather changes. This may cause the roads to be impassable and unavoidable delays to occur. 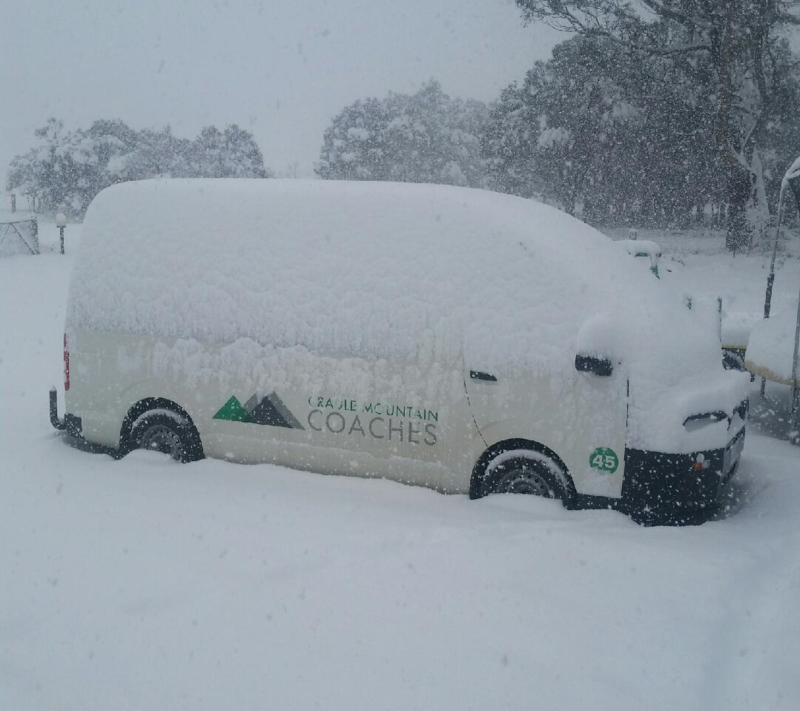 As a result we cannot always take you or pick you up from Cradle Mountain and Lake St Clair for safety reasons. We will endeavour to notify you as soon as possible the current weather conditions and if it is safe to travel. We cannot be held accountable for you not meeting connecting transport as the safety of our passengers is our first priority. We try not to travel in remote areas after dark to limit damage to our vehicles and the Wildlife. For most of the year, all walkers depart from the northern point of the park and exit at the southern end. If you arrive without a permit, you may not be able to start until a vacancy is available. If you start the walk without a permit, you will be fined and sent back. If returning by ferry from Narcissus Bay, or Echo Point to Cynthia Bay you must book in advance – ferry schedule departs daily Ph (03) 6289 1137 to book.